On March 14, 2019, Aleafia Health Inc. (TSXV: ALEF) (OTC: ALEAF) (FRA: ARAH) and Emblem Corp. (TSXV: EMC) (OTCQX: EMMBF) announced that they had completed the previously announced plan of arrangement under the provisions of the Canada Business Corporations Act in an all share transaction valued at approximately $172.3 million at the time of the deal's announcement. Pursuant to the arrangement, Aleafia acquired all of the common shares of Emblem, to form a new wholly-owned subsidiary continuing as "Emblem Corp."�Aleafia has graduated from the TSX Venture Exchange and will commence trading on the Toronto Stock Exchange at market open on March 19, 2019. Aleafia, based in Concord, Ontario, is a leading, vertically integrated cannabis health and wellness company. Following closing of the transaction, Aleafia owns three major cannabis product & cultivation facilities, operates the largest national network of medical cannabis clinics and education centres and maintains a medical cannabis dataset with over 10 million data points to inform proprietary illness specific product development and treatment best practices. Emblem, based in Toronto, is a fully integrated cannabis company. Through its wholly-owned subsidiary Emblem Cannabis Corporation, Emblem is licensed to cultivate, process, and sell cannabis and cannabis derivatives in Canada under the Cannabis Act. Emblem's state-of-the-art indoor cannabis cultivation facility and Product Innovation Centre is located in Paris, Ontario. Emblem is also the parent company of GrowWise Health Limited, one of Canada's leading cannabis education services. Gowling WLG advised Aleafia with respect to this transaction with a team that included Jason Saltzman, Kathleen Ritchie, Marek Lorenc, Joseph McDonald and Stephen Franchetto (corporate/M&A), Michael Watson (advocacy), Paul Carenza (tax), Ian Macdonald (competition), assisted by student-at-law Ryan Cohen. Read the original article on GowlingWLG.com. Join us for our next TUPE Club webinar, where we will be covering how TUPE applies when there is an Insolvency situation. We will look at the consequences of TUPE applying in various types of insolvency scenario and how can you manage the risks that creates. Gowling WLG's popular Employment & Labour Law Seminar returns to Hamilton on Tuesday, May 7, giving you the opportunity to learn about the latest legal developments affecting your workplace. Our leading professionals will guide you through these changes and offer practical insight and advice on what they mean for your organization. This complimentary seminar provides an open and personal forum for the presentation and discussion of the latest case law, legislation and evolving employment issues. By attending, you’ll have the chance to consider and discuss critical employment issues affecting your business with our panel of legal experts. In addition, the seminar will be eligible for HRPA and LSO CPD credits. 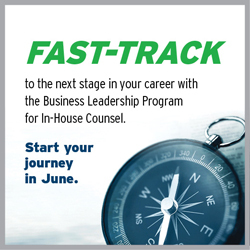 In-house legal counsel, executives and senior human resources professionals are encouraged to attend. ThinkHouse Foundations supports the development of paralegals, trainees and lawyers of up to five years' PQE by providing insight into the latest legal developments and hot topics, training resources, and a chance to meet your peers and exchange ideas. Free Trade Agreements - What do they mean for corporates? Businesses that can successfully leverage the global network of trade agreements can unlock lower landed cost for their products, market access for their services and fewer barriers to trade. We will examine the current trade agreement landscape in the UK and what a business should do to maximise the potential opportunities thereunder.